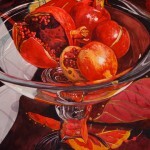 This painting is one of the first in my series of ‘bell-jar’ paintings. 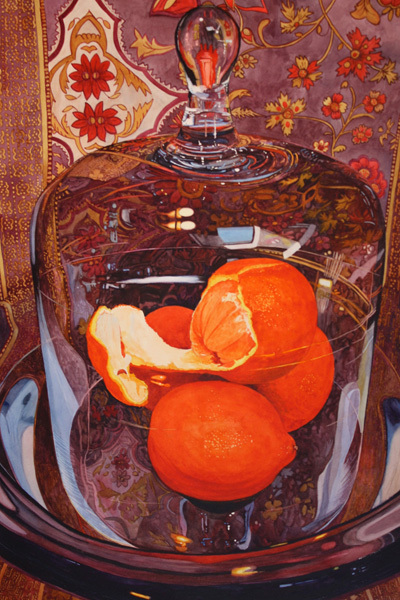 I had the idea to put colorful still-life set-ups together using the bell-jar, to afford myself the opportunity to paint the distortions, reflections, and patterns as seen through glass.The tangerines, when first placed in the jar, weren’t nearly as interesting as they became after I slightly peeled one of them. 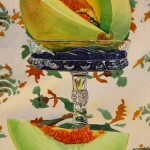 This painting was included in the San Diego International Watercolor Exhibition in 2012.